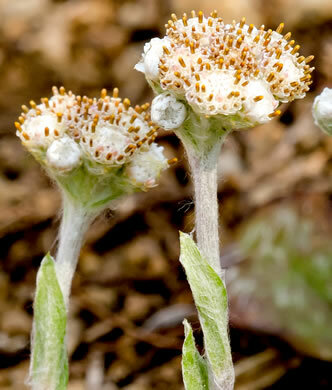 Heads discoid, flowers white; staminate heads often with undivided styles, per Wildflowers of the Southern Mountains. 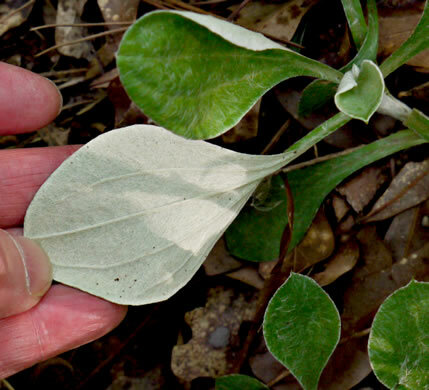 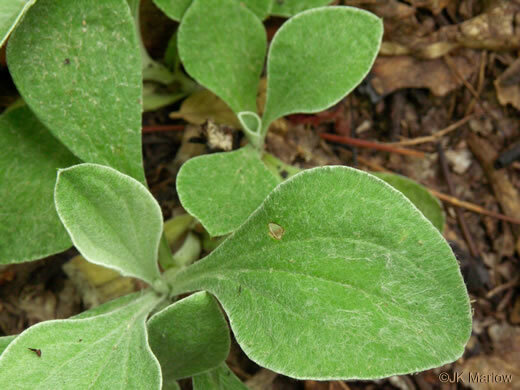 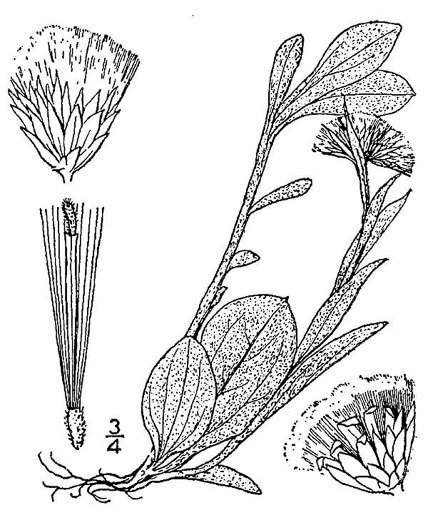 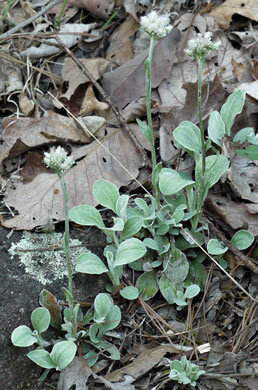 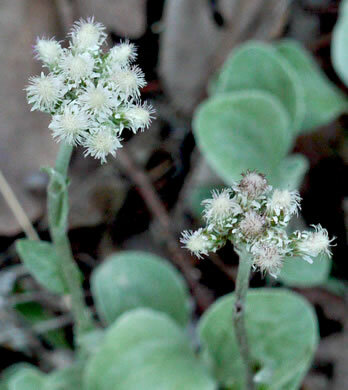 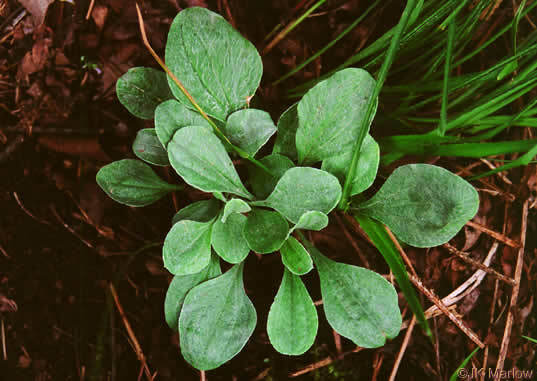 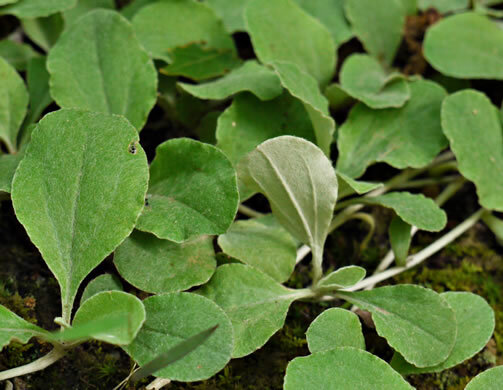 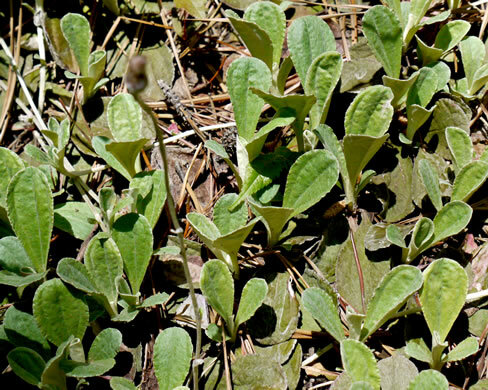 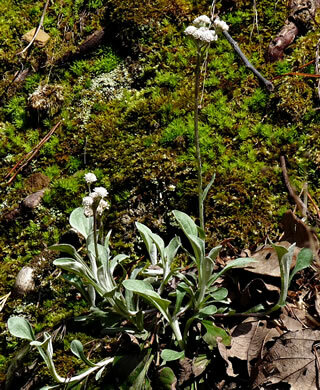 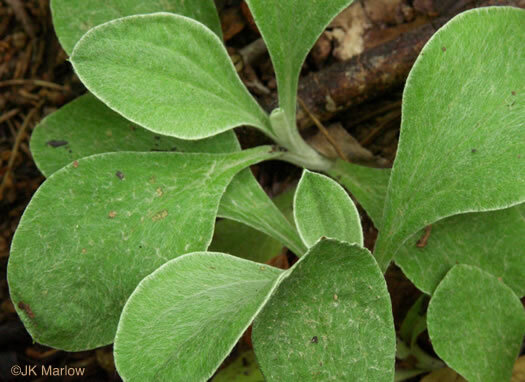 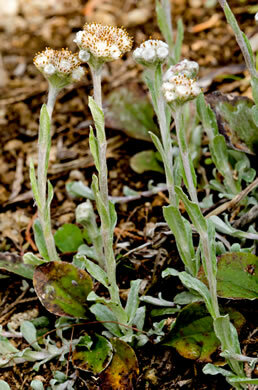 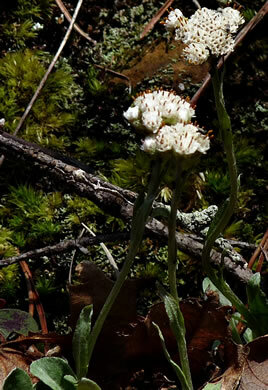 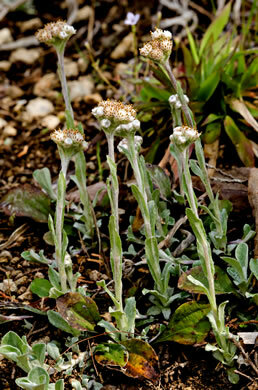 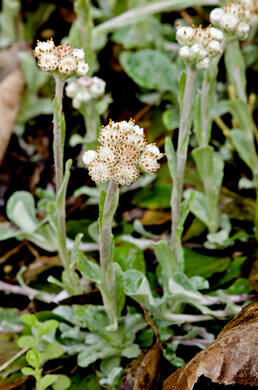 Leaves on the stem are narrow, much reduced in size, and ascending, per Wildflowers of the Southern Mountains. 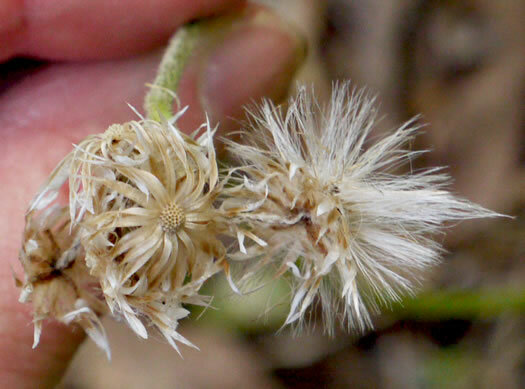 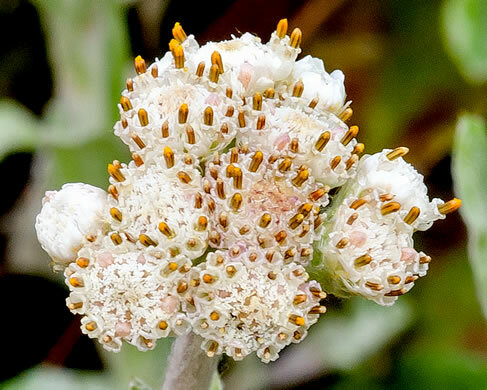 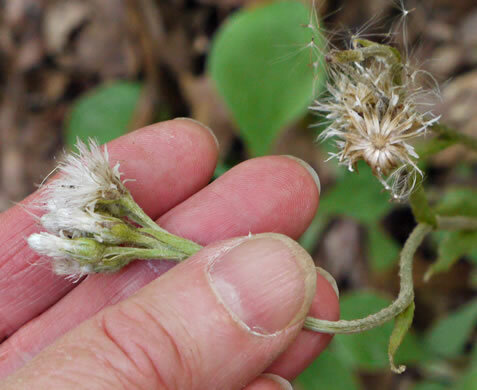 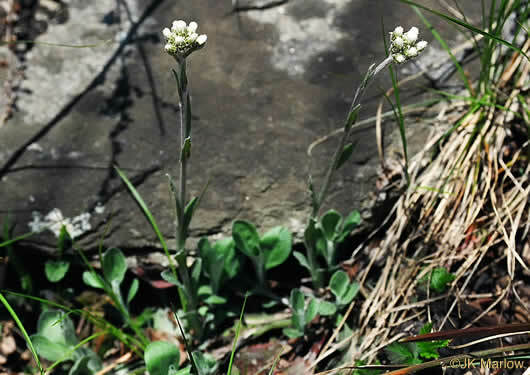 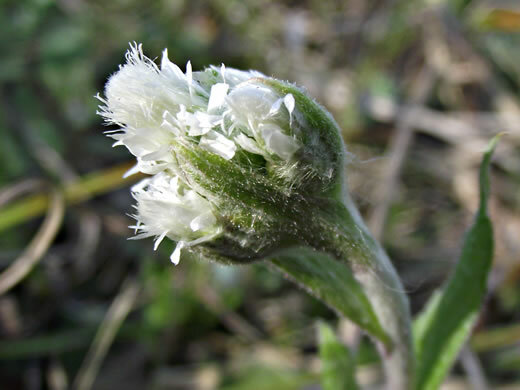 Female plants have white-tipped involucral bracts with a purplish base, per Wildflowers of Tennessee, the Ohio Valley, and the Southern Appalachians. 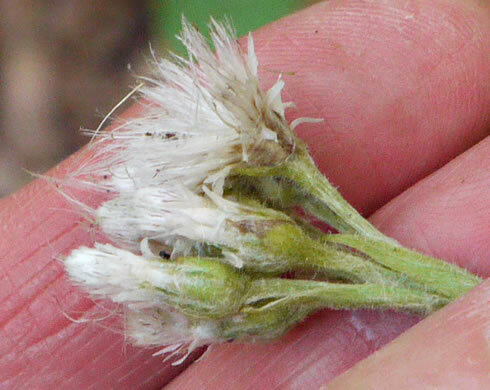 Long-stalked obovate basal lvs, w 3+ principal nerves, covered w white hairs, per Wildflowers of the Southern Mountains. 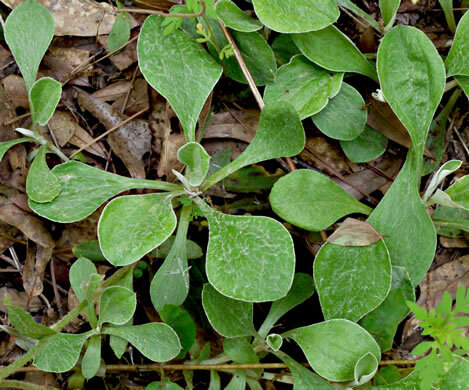 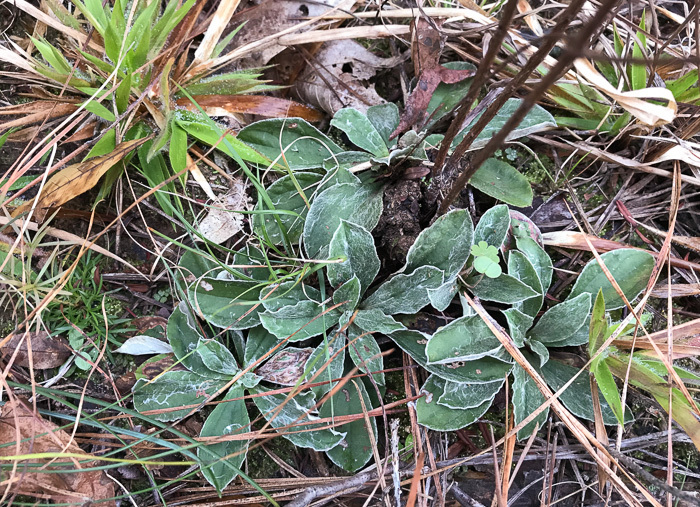 This groundcover's gray-green paddle-shaped lvs are silvered w downy hairs, per Gardening with the Native Plants of Tennessee.